Learn nosework at Kayenna Kennels (near Southland and Macleod, Calgary) with a 6-week class. Fit 1 hour of nosework training into your busy schedule Teams will be limited to a manageable number, so please register early to avoid disappointment. No previous experience required. Searches will be tailored to your unique scent dog. Date: January 5th (3:30pm – 5:30pm), at Kayenna Kennels (near Southland and Macleod, Calgary), before CWAGs nosework competition. 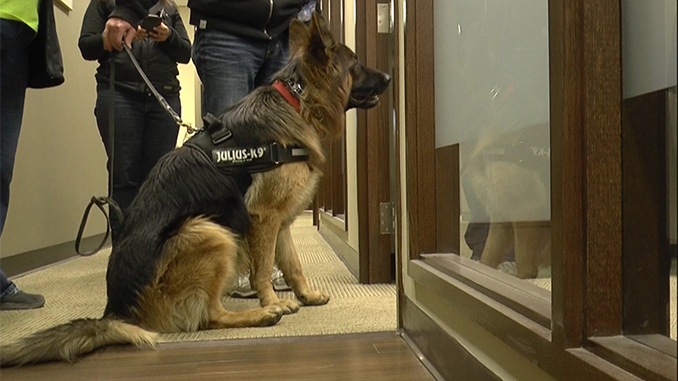 Learn about the fascinating world of scent detection (https://videopress.com/v/JoXmtM3d?loop=1). You’ll learn all about scent dog science. See how scent travels according to the wind and environment. Train, trust and verify your scent dog for statistical reliability. Set up fun Scent Puzzles and visualize the wind with images and footage of smoke grenades – once you see it, you’ll never forget. Challenge yourself to become a better handler by understanding when and where to support your canine partner. Build a foundation for success in any level of nosework competition, including UKC, SDS, SDDA, AKC, K9 ABC Games, CWAGs, etc.